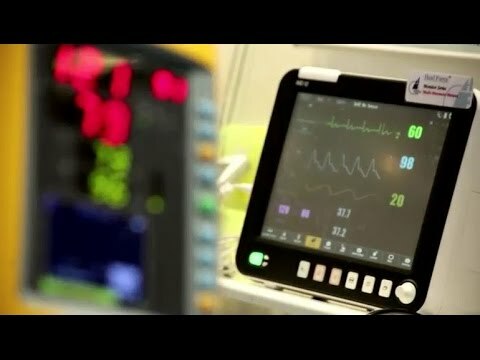 Worldwide, there are hospitals providing health care to all categories of patients in all medical fields using the latest technology and powerful instruments and devices. These health centers have become breathtaking institutions when considered the equipment and advanced technology health care providers use here for diagnosing and treating. Herе’s a list of top ten currently the most technologically advanced hospitals worldwide. Even the laymen have heard of Mayo Clinic, one of the oldest and most reputable medical institutions worldwide. 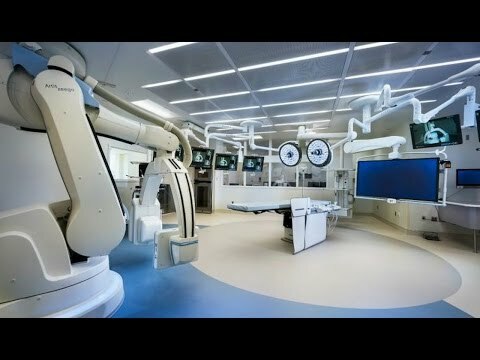 Mayo Clinic has almost two centuries-long traditions of prestige medical care, and nowadays this clinic provides services with the latest medical equipment, such as remote neurosurgical procedures conducted by robots. It is probably one of the biggest and most versatile medical and educational centers in the world with several latest high-tech cancer treatments provided to the groups of chosen patients. Aside from applying the latest medical equipment in various treatments, Texas Medical Center hosts many experimental programs and clinical researches. John Hopkins Hospital in Baltimore is one of the prestige medical centers in America and wider. Scientists and doctors working here provide health care at the highest level of quality with the modern technique. Also, great resources of modern equipment are focused on various researches and experiments. This medical center carries absolute supremacy in the UK when it comes to procedures such as powerful endoscopic diagnostic methods, and transcranial magnetic stimulation is routine procedures here. Procedural and technological advancements available in this center are no longer limited to former USA citizens, but to any patient requiring their superb medical services. To mention that this medical institute covers patients on three continents and provides routine Tesla MRI scans, as well as cutting-edge stem cell lab, probably says enough about the high level of medical service here. Cleveland institute was the first one to conduct cadaveric transplantation, and it is currently leading medical center for laparoscopic surgery and robotic heart surgery.El Camino Hospital is another medical center providing highest levels of robotic surgery procedures. These two medical center have leading roles in robotic surgery procedures, especially in cardio surgery, as well as in radiotherapy imaging and targeted oncology radiation treatment. Significant progress of technology and various aspects of digitalization have inevitably influenced modern medicine and the whole field of health care service providing. Aside introduction of different high-tech devices and systems, technological evolution is transforming the infrastructure of health care system, as well as procedures used in traditional health care approach. Medical technologies are directing traditional system towards remote treatments, application of medical devices within patients’ houses and focusing its powers onto preventive health care, rather than healing. There are two main directions that are applying, and the introduction of modern medical devices is playing its dominant role. One is within all the strategies focused on remote treating and monitoring patients while they are not in doctor’s office or hospitals. An excellent example of these technologies is wireless sensors scattered in the house to help senior citizens with dementia or walking difficulties to function better in their own homes. Another example is various portable devices designed to monitor glucose blood levels, enabling diabetes patients to control their disease without frequent visitations to hospitals. Many digital, high-tech devices are designed to improve medical adherence, monitor if patients are taking their medications regularly and if they are taking it properly. Another field where modern medical technology is proving its powerful influence is right inside the hospitals. Many hospitals are now using electronic medical records and portable devices to monitor wide picture of patient’s condition, order diagnostic procedures and review charts. This creates more efficient interaction between doctors and patients, as well as between doctors in different branches, decreases the time required for overall diagnostic and treatment. All of these changes should create more digital, flexible and efficient modern medicine, where chronic diseases are monitored and controlled remotely, and the hospitals are given a chance to focused onto complex acute cases. However, the availability of these high-tech technologies remains an issue. Currently, costs are huge, there’s a lack of skilled and educated medical stuff to use these technologies, and only large medical centers are providing these services. Fortunately, the predictions announce a significant decrease of costs within the next five to ten years and advanced medical technology more affordable and closer to smaller medical centers, as well as to the average patients out there. 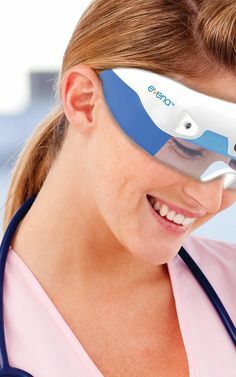 Modern medicine is approaching closely boundaries of something that used to be science fiction world with all of its high technology advancements, superb medical gadgets, and instruments. There’s a wide collection of these powerful tools that often come in the form of portable, pocket devices, but might save your life. Here’s a brief overview of some of them. A lifesaving thing to many oncology patients. This high-tech medical instrument replaces successfully old-fashioned manner of surgical approach with blades and scalpels. It uses radiation beams to cut off malignant tissue in the completely non-invasive way. The most reputed model of this powerful technique is certainly DaVinci SI HD System. 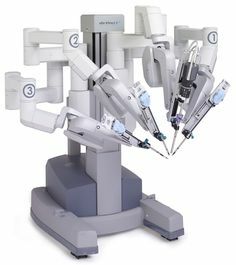 This massive medical equipment settled in many surgical rooms worldwide provides HD 3D resolution of body’s inside and multiple arms with instruments, enabling surgeons to skip the actual work and conduct procedure by directing robots via the massive console. PillCam is a modern replacement for many endoscopy procedures and a great helping hand to surgeons and other doctors. Namely, instead of undergoing typical endoscopy procedure, now you can just swallow this pill-shaped camera, and the doctors will detect the inner situation in your body in far more convenient manner. Antenna Pill is another modification of this medical gadget, except it has a dose of the drug at one end and microchip at the other. All the work neurosurgeons and cardio surgeons conduct have become far easier and more convenient since the Inner Cool RTx System appeared on the market of medical devices. This instrument helps to cool the inside of patient’s body, enabling these procedures to last for few hours without causing serious damage to other tissue. 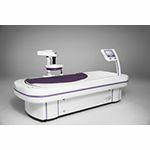 Siemens has constructed Somatom Definition Flash CT Scanner, a powerful gadget that scans your heart or even a whole chest in less than a second and detects potential problem precisely without any preparation for scanning. 3D printers providing biomaterial, tissues and new organs are future lifesaving technology to every patient requiring serious restoring of the organism. Aside from printing biomaterials for tissues, 3D printers provide printed drugs, which saves lives in many emergency situations.